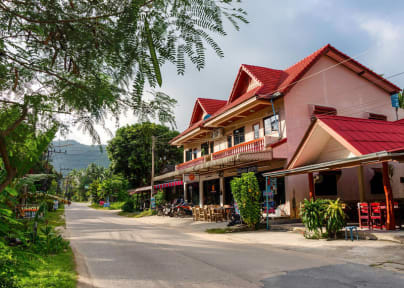 Domingo Hostel is located on the main road in Ban Tai to Haad Rin, which is the same for the venue Fullmoon Party. It is a 10-minute drive from the ferry port, a10-minute drive to the Full moon party and a . Moreover, the half moon party, jungle experience, voodoo party and many more are 5-minute drive away from the hostel. Nearby there are mini-shops, restaurants and places to rent motorbikes. 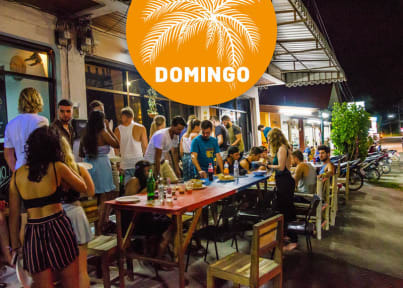 Domingo Hostel offers 3 rooms available for guests to choose: 3 mixed dorms. 2 of the mixed dorms are with 8 beds and are air-conditioned rooms, with a balcony on each. The last room is a 6 bed dorm with fan. Hostel muito bom, com funcionários muito atenciosos e receptivos. Localizado numa região mais tranquila para quem não quer ficar o tempo todo em festas. Na época que fui era Full Moon de ano novo, por isso achei o preço um pouco caro. No geral, recomendo.